Choosing the right course to study in Malaysia after secondary school is one of the most important decisions you can make in your life. There are many types of engineering programmes that students can choose from. Find out about the different engineering disciplines available at top private universities in Malaysia, how your choice relates to your future career and what the best bets are if you want to keep your career options open. 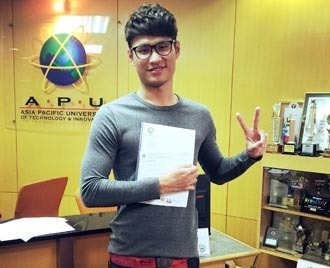 Most top private universities in Malaysia offer a selection of engineering degrees. There are lots of different disciplines within engineering such as mechanical engineering, civil engineering, electrical engineering and chemical engineering etc. Most degrees are in one particular discipline so you’ll need to decide which one most appeals to you before you apply. Entry requirements for students after SPM or O-Levels to study engineering in Malaysia, they need to have credits in Maths & Physics or Science to enter into the Diploma or Foundation programme. The engineering working world is very competitive and students must arm themselves with the necessary skills and knowledge to succeed. This means that they should choose top rated universities in Malaysia for their engineering studies. Established since 2009, EduSpiral Consultant Services is a top recruitment agent for top private universities in Malaysia and private colleges in Singapore providing information and counselling on courses and helping students to choose the right university. EduSpiral Consultant Services sets ourselves apart from other agents by providing counseling based on facts and evidence so that our students are able to make the right choices after SPM, O-Levels, UEC, STPM, A-Levels or Pre-University. We research on articles and information to help them make the right choices about choosing their career and course in Engineering. What are the Different Engineering Courses and Which One is the Best for Me to Study in Malaysia? Or you could design and build planes, aircraft, robots, medical equipment, or even computer programmes. Whatever you choose, you can create and develop projects that improve and change lives. Think carefully about what area of engineering interests you most – what do you want to achieve in the long term with your engineering study? Chemical Engineering is the branch of engineering that deals with the application of physical science (e.g., chemistry and physics), and life sciences (e.g., biology, microbiology and biochemistry) with mathematics and economics, to the process of converting raw materials or chemicals into more useful or valuable forms. Chemical engineers ensure the processes are operated safely, sustainably and economically when converting raw materials or chemicals into more useful or valuable forms. Chemical Engineering applies the principles of chemistry and engineering to solve problems involving the production or use of chemicals. Chemical engineers use their knowledge of chemistry to discover and manufacture better plastics, paints, fuels, fibers, medicines, food and beverages, fertilizers, semiconductors, paper, and all other kinds of chemicals by carrying out chemical reactions and purifications. Chemical engineers work in a variety of settings including industry, laboratories, universities, consulting firms, engineering firms, law offices, and government agencies. Civil Engineering is the art and science of designing the infrastructure of a modern civilized society. Civil Engineering is a professional engineering discipline that deals with the design, construction, and maintenance of the physical and naturally built environment, including works like bridges, roads, canals, airports, tunnels, water supply, sewage systems, dams and buildings. It is traditionally broken into several sub-disciplines including environmental engineering, geotechnical engineering, structural engineering, transportation engineering, municipal or urban engineering, water resources engineering, materials engineering, coastal engineering, surveying, and construction engineering. Civil engineering takes place on all levels: in the public sector and in the private sector from individual homeowners through to international companies. The study of Electrical & Electronic Engineering can involve large amounts of power such as power and control engineering, large devices like power stations and electric vehicles or small amounts of power like computers, communications and information engineering and small devices including MP3 players, iPads and cell phones. Electronics engineering deals with devices and systems that use small amounts of electrical energy to analyse, transmit and store information. Transmission of these electronic signals forms the basis of communications and the information technology industry, and includes the field of microelectronics and the use of silicon chip technology. Electrical engineering is concerned with the basic forms of energy that run our world. Whether it’s gas, hydro, turbine, fuel cell, solar, geothermal, or wind energy, electrical engineers deal with distributing these energies from their sources to our homes, factories, offices, hospitals, and schools. Electrical Engineering is one of the broadest and largest branch of the engineering profession. It covers new rapidly growing areas such as signal processing, artificial intelligence, fiber optic communications, and microcomputers as well as traditional areas such as circuits, controls, power, electromagnetics and instrumentation. Digital phones, personal computers and Global Positioning Systems are just a few of the high technology products that electrical engineers have developed. Mechanical Engineering covers the design, development, analysis, control and testing of machines for converting energy from one form to another and for performing useful work. Students learn the fundamentals such as mechanics, thermodynamics heat transfer, electronic instrumentation and measurement, controls, and design. The field tends to attract students who enjoy activities involved with machines and other mechanical devices; can apply mathematical principles and basic principles of physics to projects; and who are able to direct projects. Mechatronics Engineering is an engineering discipline which deals with the convergence of electrical and mechanical systems. Such combined systems are known as electromechanical systems and have widespread adoption. Examples include automated manufacturing systems, heating, ventilation and air-conditioning systems and various subsystems of aircraft and automobiles. Mechatronic engineering is the combination of mechanical, electrical & electronic, robotics and computing. A Mechatronic Engineer designs smart machines that are aware of their surroundings and can make decisions. It is a new branch of the engineering field with very good job prospects. Mechatronic engineers are at the leading edge of the development of new products, devices and processes. French standard NF E 01-010 gives the following definition: “approach aiming at the synergistic integration of mechanics, electronics, control theory, and computer science within product design and manufacturing, in order to improve and/or optimize its functionality”. Choosing the right engineering discipline can be confusing. Here are some tips that can help you to make the right decision. tinkering with devices? Mechanical Engineering or Mechatronic Engineering are good choices for you. Are you passionate about solving the environmental problems? Then you might consider Environmental engineering, Chemical Engineering, or Civil Engineering. Students who love chemistry and physics, could go for Chemical Engineering or Petroleum Engineering. Practical, creative and unafraid of tough work with a love of buildings then Civil Engineering is the answer. Students must also keep in mind that there isn’t a “One True Love” when choosing a course. A person can be good in a few areas such as Mechanical Engineering, Mechatronic Engineering or Electrical & Electronic Engineering but it is not possible to work in all 3 fields. You just need to choose one. If you end up in an area you’re excited about, you’ll be much more likely to excel and willing to put in the hard work needed to be an expert in your field. specialise in because of the variety of sectors within the engineering industry. If you are certain of what type of engineer you wish to become, you should study a degree which focuses specifically on that field of study. Students after SPM or O-Levels who are sure of choosing engineering for their degree studies may go for the Foundation in Engineering at top private universities in Malaysia for 1 year before continuing on to the 4-year Engineering degree programme. 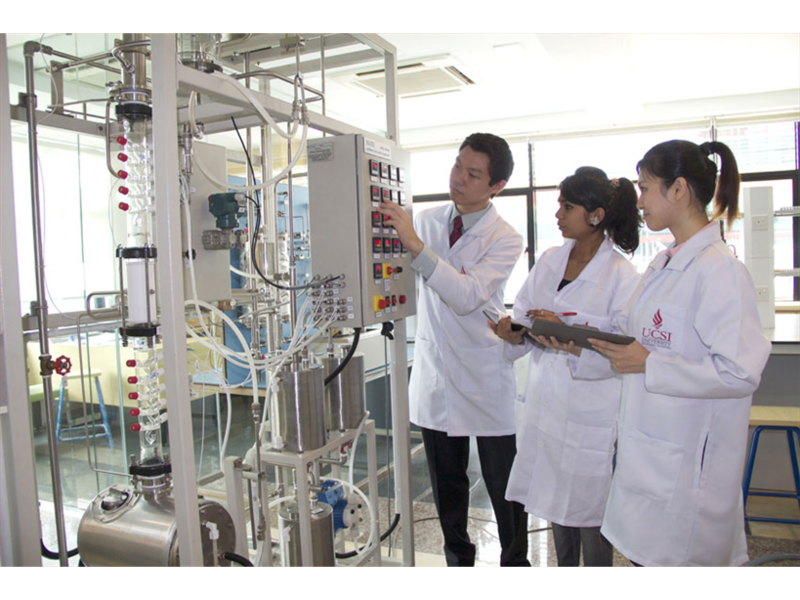 If you are still not sure whether you want engineering or other science courses, you may choose the Foundation in Science programme at premier private universities in Malaysia. Students after the external Pre-University Programme such as UEC, STPM, A-Levels, SAM, CPU, AUSMAT, etc. 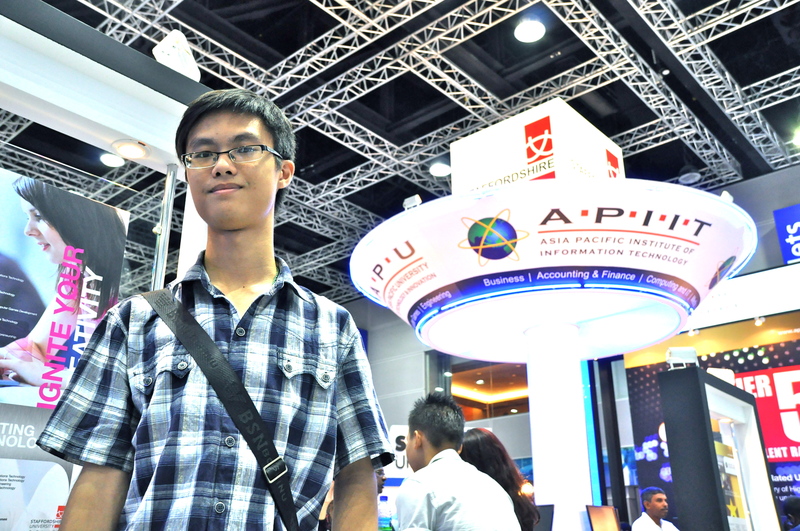 may enter directly into the Engineering Degree programme with relevant results at the best university in Malaysia. Entry requirements for Engineering would vary from university to university. Students may contact EduSpiral Consultant Services to find out the exact entry requirements for engineering at top private universities in Malaysia. What are your SPM/O-Level results? Do you have strong credits in Physics, Maths and Science subjects? 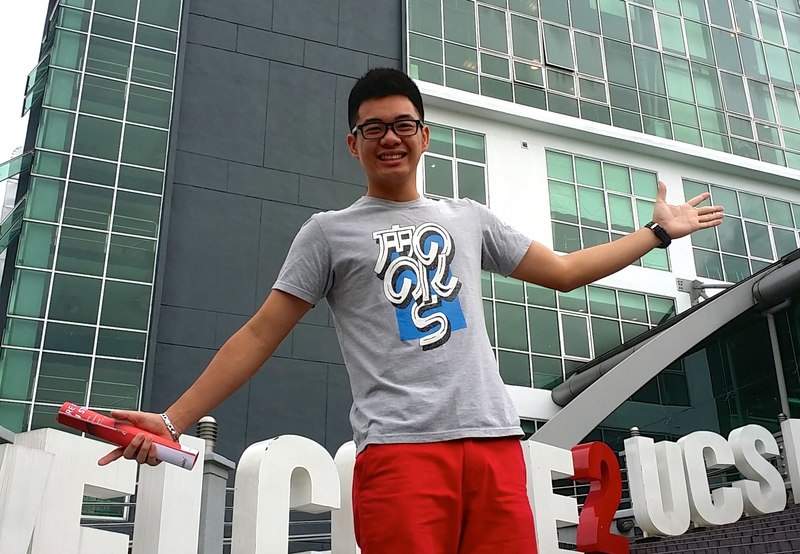 What are your Pre-University results such as STPM, A-Levels, UEC, SAM, CPU, etc? Do you like the Additional Maths, Physics and Chemistry subjects? What is your personality like? Are you creative, practical, organised, hands-on and process oriented? Do you like to come up with solutions to solve problems? Are you a hard working person? Able to focus on your studies? What is the salary for the engineering course of interest in Malaysia? What is the job demand or job prospects for the engineering course of interest in Malaysia? Are the courses recognised and approved by the Malaysian Qualifications Audit (MQA)? Are the engineering degree programmes accredited or pending accreditation by the Board of Engineers Malaysia (BEM)? EduSpiral talked to my mother and took us to meet up with the Head Lecturer to explain the course in detail to us. After the campus tour, we decided to join the college. accommodation on your own with friends. Is the accommodations near eateries, banks, entertainment, public transportation, etc.? Lim added that about 30% of the members were involved in the electrical, electronic, and mechanical engineering industries. The IEM currently has about 43,000 members. On the quality of the local engineering graduates, Lim said that there was concern on quality because a study done three years ago by IEM revealed that the local engineering graduates lacked certain fundamental understanding of engineering principles. “This is affecting their ability to execute their duties effectively. computer engineering, instrumentation and technology, marine technology, mechatronic, software engineering and process engineering. According to the report, the demand is highest for: Mechanical Engineers, next is Electrical, Civil, Electronic and finally Chemical. To gain a better understanding of what you will study in Engineering in Malaysia, I have taken the information below from the 2012 Engineering Programme Accreditation Manual by the Engineering Accreditation Council (EAC) found on the Board of Engineers Malaysia (BEM) website. Malaysia.Having an EAC accredited engineering degree is the prerequisite for registration. The Public Service Department (JPA) would only allow graduates from the EAC accredited programmes or those recognized by EAC to join the public service. Students who are the first batch of a new engineering programme at a university should be careful in choosing a university that has a good track record such as UCSI University or Asia Pacific University. Joining a university that has no track record in engineering will be risky as the engineering degree may not be accredited by the time the student graduates. For a new programme, the university can only apply for accreditation at least 6 months before the final examination of the first intake of students. Who is Engineering Accreditation Council (EAC)? Engineering Accreditation Council (EAC) is the body delegated by BEM for accreditation of engineering degrees. The EAC is made of representatives of the Board of Engineers Malaysia (BEM), The Institution of Engineers, Malaysia (IEM), Malaysian Qualification Agency (MQA) and the Public Services Department (Jabatan Perkhidmatan Awam Malaysia (JPA)). component (such as mathematics, computing, languages, general studies, cocurriculum, management, law, accountancy, economics, social sciences, etc.) that complements the technical contents of the curriculum. Students should receive sufficient laboratory work to complement engineering theory that is learnt through lectures. The laboratory should help students develop competence in executing experimental work. Students should work in groups, preferably not more than five in a group. Throughout the programme, there should be adequate provision for laboratory or similar investigative work, which will develop in the young engineer the confidence to deal with new and unusual engineering problems. Professional Engineer requires a substantial period of experiential formation in industry after the completion of an accredited academic programme, it is clearly inadequate, over the first few critical years, for the student’s perceptions of engineering to develop in complete isolation from the realities of practice. (vi) Regular use of a logbook in which industrial experiences are recorded. engineering academic staff acquire some exposure to such experience, in addition to the other elements suggested, and make efforts to assist all students gain placements of suitable quality. The final-year project can provide one of the best means of introducing an investigative research oriented approach to engineering studies. It is a requirement of the programme to include a significant project in its later stages. The final-year project is required to seek individual analysis and judgement, capable of being assessed independently. The student among others is expected to develop techniques in literature review and information processing, as necessary with all research approaches. It is recommended that final-year projects should also provide opportunities to utilise appropriate modern technology in some aspects of the work, emphasising the need for engineers to make use of computers and multimedia technology in everyday practice. Design projects shall include complex engineering problems and design systems, components or processes integrating core areas and meeting specified needs with appropriate consideration for public health and safety, cultural, societal, and environmental considerations. To understand the whole process of industrial decision-making in design, manufacturing and use and how it is influenced not only by technical ideas but also by the practical constraints of financial and human resources as well as the business and social environment of engineering.